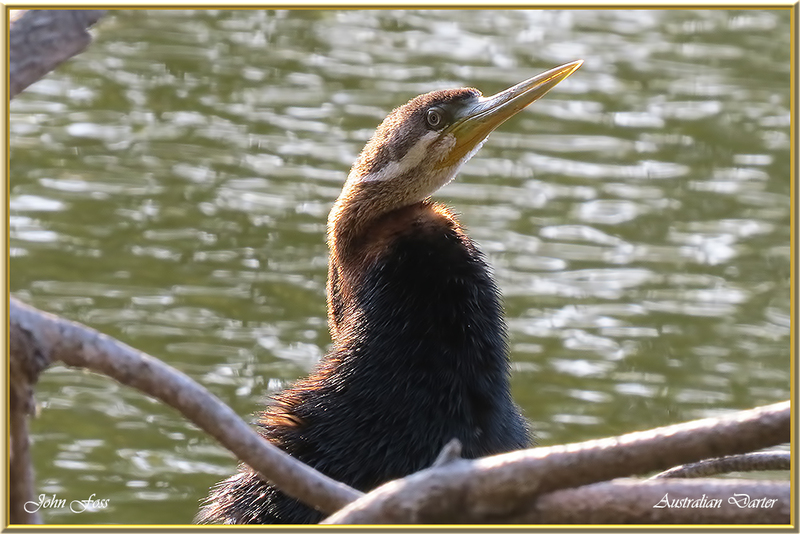 Australian Darter - closely related to cormorants. Just as cormorants the feathers are not waterproof so as to decrease their buoyancy. This is the reason they are often seen sitting out of the water to dry off the wings. They feed mainly on fish which they spear while swimming underwater. Other prey include frogs and snakes. 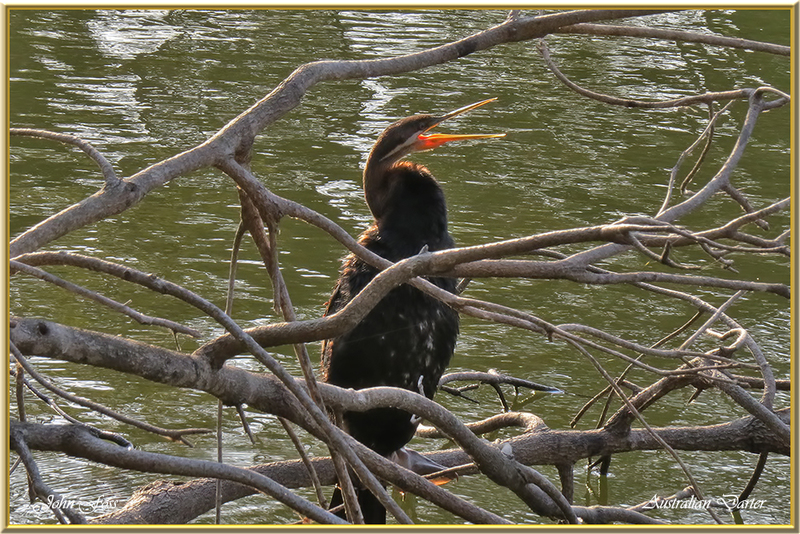 The darter inhabits freshwater lakes and rivers. Photographed in Bundaberg Australia.